Steve Bultman is one of the top coaches in college swimming and in part two of his interview with Garrett McCaffrey he is open about the Aggies’ weekly training. All the swimmers work on every stroke at one point or another but the practices are very specialized. It’s a system that works as his ladies posted a handful of the best times in the country a couple weeks ago at their mid-season invitational. Bultman’s willingness to share his training is just another example of why he is one of the most respected coaches in the sport. Check out Part 1 of the interview with Steve Bultman. Awesome Coach! Thanks guys, great double segment. 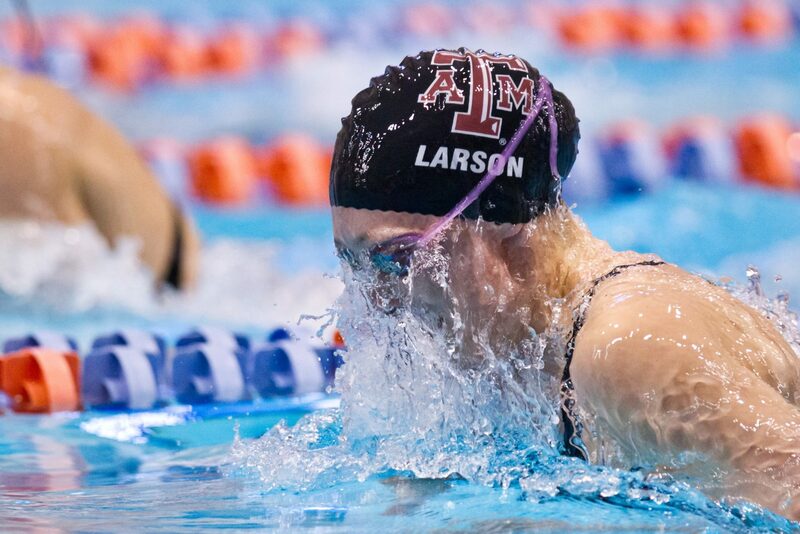 I went to the A&M website to check the times from this years invite (Nov. 15th) vs the BEST times from last year. WOW the drops some of these girls are getting are NUTS This guy is doing something right!